Six theatre companies in a theatre housed in a desecrated church in Brooklyn, New York. An audience of insiders, curious and artists. 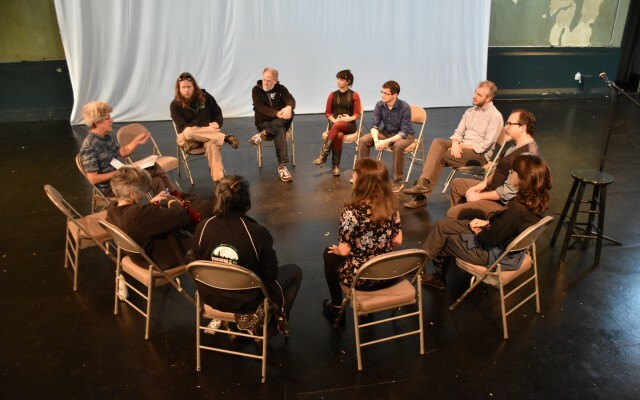 The Caravan Next conference in New York focused on how to work on audience development through theatre and was open to professionals, students and citizens. The first part involved 5 local theatre companies and SCT Centre|UNITO, who shared with the audience their experience on community theatre. Bond Street Theatre, engaged in emergency contexts and development cooperation, presented two main projects: a theatre workshop with young women in Afghanistan, where theatre is considered illegal and is forbidden to women, and a theatre workshop for refugees in Myanmar and Malaysia. Irondale Theater, a New York avant-garde theatre, gave a talk about the project that made it famous: citizens and policemen take part in a social theatre workshop and build a performance together, exchanging roles, analyzing their own preconceptions and working on the concept of violence and community.Then, it was the turn of the Theatre of the Oppressed: they work in the metropolis with homeless, prisoners, young drop outs and LGBT communities to restore dignity to everyone in its diversity. Next, Ping Chong company described their work with the Muslim community of New York, and with Muslim women in particular. 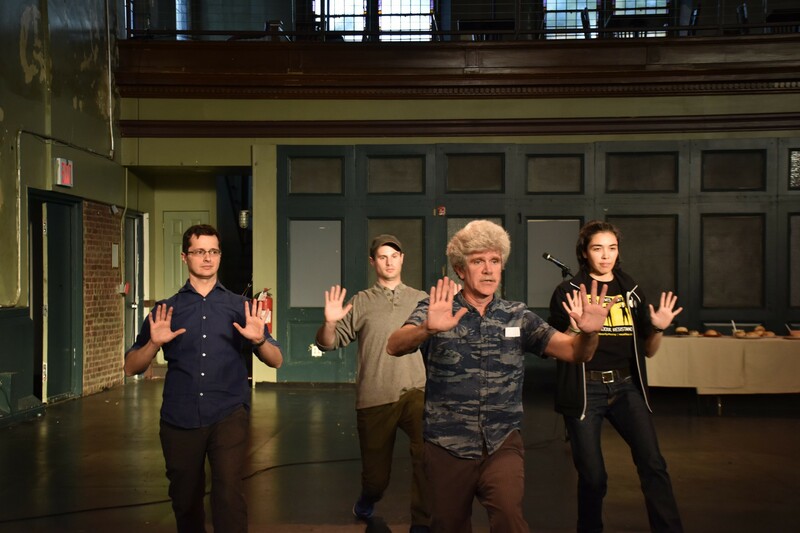 In the end, Touchstone Theatre from Pennysilvania introduced their community theatre projects involving teenagers, workers and the elderly people of Bethlehem. 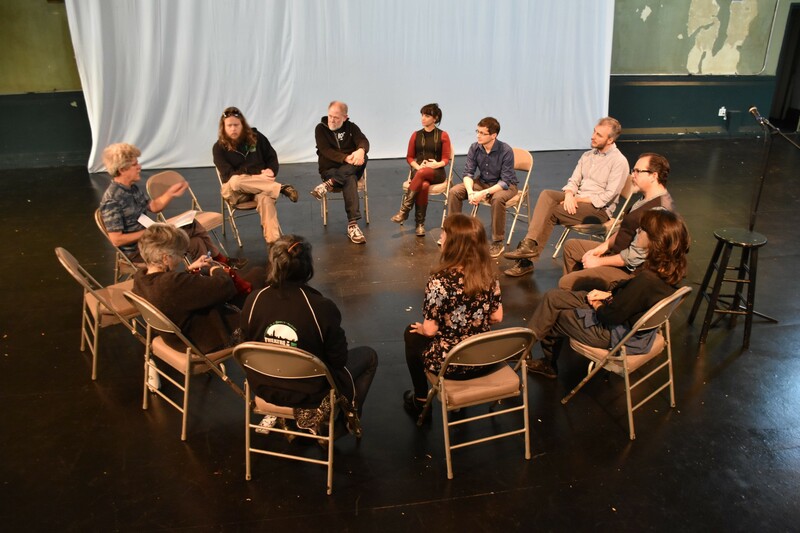 The closing moment of the morning included a group discussion about how to make community theatre more effective in creating audience development. In the afternoon, each theatre group led 2 short and particularly meaningful exercises of their work and invited the audience to take part.